You know I’m not really gone. Our connection will not be broken by something as simple as death. Yes, Tucker and I shared the same physical body for a time. But I am eager to return in another physical form to live in peace at our farm. All who have shared your physical lives are eager for the day when every being is as beloved as the canines who have accompanied your journey. You feel our spirits especially strong now because the time is near. Many changes in the world have brought us to this time of birthing a new era. The separation from what many call heaven or the land across the Rainbow Bridge no longer exists. The dimensions have merged. 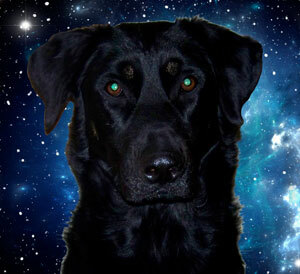 As you have experienced with the canine spirits who have accompanied your journey, so will others find this is true. There is no separation in the other dimensions–the dimensions where we now exist. That is why your dreams feel so real to you. They are coming to fulfillment. I know some of this seems outlandish even to you, who are open to so much others do not see. But you are trying to understand with your human brain that which is beyond such limited understanding. Simply continue to believe, and what you know in your heart will become a reality. Several years after Stewart transitioned, he returned in the body of an Anatolian Shepherd named Dasha, who joined our household three years ago. My life changed dramatically when I studied Reiki energy healing. Soon after, when animals began talking to me, my life really went to the dogs! 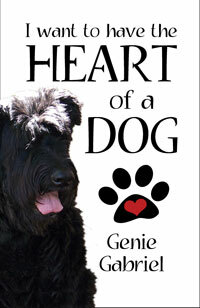 When I wrote the book, I Want to Have the Heart of a Dog, my dogs--those who had already crossed the Rainbow Bridge as well as those still living on this physical plane--gave me wonderful messages that life is much more than our five human senses can discern. Much more than our Western culture generally believes. Those messages spoke of connections beyond time, space, life and death. They talked about love and acceptance and love and lessons that spanned a number of lifetimes. Did I mention love? 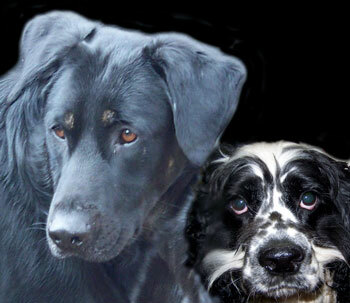 Our furbabies come to help us, to teach us, to protect and support us. From what animals have shared with me, they view dying much differently than most humans. When they have completed their task, they leave this physical plane. If they want to come back, they manifest a body and return. I've become pretty open minded about possibilities over the last decade or so. However, some of what Stewart shared still stretched the limits of my human mind. During our time together, Stewart confirmed what I had suspected for some time. He was Tippy--the first Collie I knew as a little girl but in a different body. And so was Duncan. What Stewart told me made sense, and verified Tippy kept his promise to be with me when I needed him most. 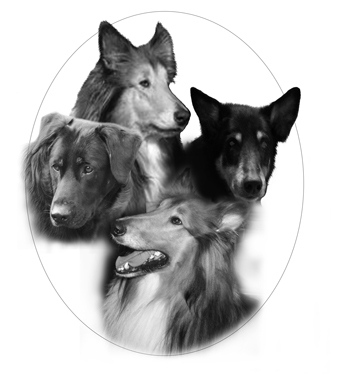 Tippy was with me as a Collie during my childhood abuse experiences. He came back as Duncan (a Collie/Shepherd mix) to support me when I finally disclosed my childhood abuse and the dark time of betrayal following the reaction to that revelation. Stewart arrived as a Shepherd/Black Lab mix to be with me when the foundations of my entire existence were crumbling–what I now call my meltdown of 2009. Tippy/Duncan/Stewart also carried his own burden, which Stewart and I worked through in the week before his death. He felt smothering guilt he had not protected me from childhood abuse. In the last intense week of his life, we both realized it was not his role to protect me, but to support me in the experiences I had chosen. And he supported me well! That realization was good news and bad news. With the release of guilt, he could shed the physical body that had been racked with seizures. 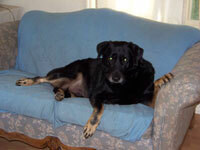 When it seemed we had found a promising treatment, my Stewart died suddenly in the midst of a seizure. Once again I grieved the physical loss of a beloved furbaby. However, the passing of that physical body was an odd thing to grieve, because he was still with me–both spiritually and physically–in the body of Tucker, a Collie who looks like a twin to the first form Tippy took in this lifetime. Seizures can be terrifying when they grip a beloved furbaby. My little Lady suffered occasional seizures after she ran into the tire of a car as she was dashing full speed chasing a cat. Although disconcerting, these episodes were mild compared to the grand mal seizures that ravaged my Stewart. They came on suddenly and frequently when he was about four years old. Sometimes several a day for two or three days in a row. Then they would subside for a week or two, giving us hope; only to return stronger and longer than before. If your furbaby has seizures, there are support groups of other pet parents online who are living day to day with this situation. This can be helpful or more confusing as there will be a number of differing opinions on how to cope. Also, your veterinarian may not have a lot of experience in treating dogs with this condition, and that may add another layer of stress. When seizures occur, I take a different approach than may be recommended by others. Yes, this is where I say I'm not a vet and not allowed to make a diagnosis or recommend treatment. I offer what has been helpful with my own furbabies. Everyone should make their own decisions on how to proceed if they have a pet who has seizures. If we notice a seizure beginning, one of the humans in our family cuddles the dog close. With small dogs, this is fairly easy. With larger animals, the thrashing caused by the seizure can be dangerous to anyone nearby as well as the animal seizing, so clearing the area of anything the animal may crash into and injure themselves is beneficial. Being an energy healer, the energy begins flowing immediately to help calm everyone. I'm also an animal communicator and know animals feel very disoriented and lost during seizures, so I talk to them continuously, giving them a sound to follow back to "normal," as well as loving arms that help anchor them in the physical world. I use mostly natural treatments and energy healing for any physical disorders that come up with me or my furbabies. I also do a lot of research on possible treatments. With Stewart's seizures, we chased a cure or at least relief for three years. Prescription medications, Chinese herbs for organ cleanses, supplements for his immune system, acupuncture, energy healing, natural flea remedies, cool temperatures, eliminating certain foods from his diet, eating every four hours. 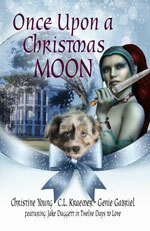 Perhaps most distressing was the change in his personality, from happy nurturer to an unsure, hesitant dog. He didn’t feel safe around the other dogs because two of them attacked him when he was having a seizure and couldn’t defend himself. I finally discovered a combination that stopped the seizures: running Reiki directly into the knobby bones behind his ears and wiping cold water on his face. The cold water was Divine intervention. I was trying to get a good fix on the bony knobs to run Reiki while Stewart was seizing. In the meantime, his legs were paddling, hit the water bowl and drenched us both with cold water. Stopped his seizure instantly. This was also the last one of the cluster of seizures that had been occurring for a couple days. This set me to thinking. I knew heat was a factor when a seizure was building for him. 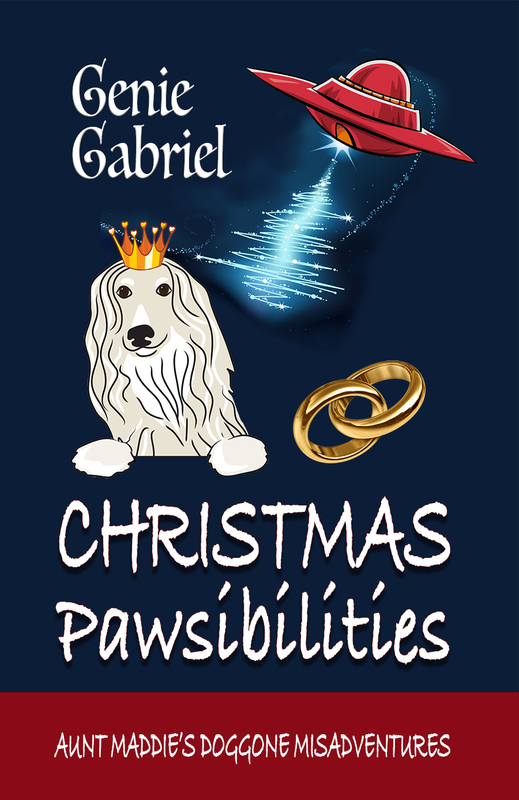 He paced and panted, his mouth becoming redder, and the inside of his ears ranged from warm to really hot. When he started showing those signs, I wiped his face and head with cold water, and held a cold cloth inside his ears and wicked away the heat. I also ran Reiki directly into those knobby bones, over his head and wherever else he wanted/needed it, whenever he wanted it. Near Thanksgiving, Stewart had a cluster of severe seizures and I thought I was going to lose him. He recovered, but kept showing me a blinking red light on the left side of his brain and told me it was an aneurysm. Although Stewart died suddenly in the midst of a seizure several months later, please know that seizures don't have to be a death sentence. My Lady lived to be 17 years old. I've also been a pet parent to other dogs who have occasional seizures, but who are otherwise happy dogs not on medications. ARE YOU LOOKING AT LIFE THROUGH A SODA STRAW? Received this blog post from Dr. Dennis Thomas about looking at life through a soda straw. Would really limit your view of the world, wouldn't it? Want a broader perspective? "Now, imagine taking the straw down and seeing your world. Your world would dramatically expand." One of the dogs who came to live with us had been horribly abused, especially around his head. His eyesight also wasn’t very good. You may have heard of people having wavy vision. That’s what was going on with him, so everything that approached him looked like a monster. Of course he was terrified, and biting was the only way he knew how to protect himself. He had three paws in the euthanasia room when I asked to bring him home and give him another chance. This interview with Ute Luppertz of Portland, Oregon is solid gold! 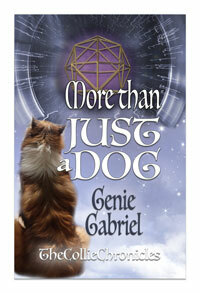 She's an animal communicator, Reiki master, TTouch practitioner, and much more. What she says is pretty much what I've discovered in my experience with animals. It's about an hour long, but contains great information. When Stewart returned from foster care to be put up for adoption, I wasn’t considered a good match because I already had five dogs. Reluctantly, I agreed. The kennel manager was and still is a good friend. I have learned much from her and trust her judgment. However, Stewart and the Universe had conspired on another plan. The kennel manager assured me they would find a good home for Stewart. In a few days, he went home with a couple who had been looking for weeks for the “perfect” dog. The next day, he was back. The process of looking was evidently more interesting than actually having a dog. By this time, I knew without a doubt Stewart was to be my dog. Too many coincidences to be a coincidence. However, I stepped aside–once again–and told the kennel manager I would arm wrestle her for custody of Stewart if he was returned again. She assured me–again–they had the perfect home. And it seemed they did. For about a week. This time, the landlord who had approved Stewart to live with his new mistress decided he was too big. Back he came. I simply handed the kennel manager my adoption paperwork, and Stewart came home with me. My home may not be perfect, but it’s definitely home. I already had a pretty full house when Stewart was dumped–literally–in the lobby of the shelter. I was working in the shelter at the time and was immediately asked to stay with him and offer Reiki. Nervous or upset doggies usually relax in five or ten minutes. With traumatized animals, as Stewart was, it takes longer. I stayed with him about forty-five minutes and, since it was almost closing time, the kennel manager wanted to let him outside to do his “bathroom business.” It took us about half an hour to coax him outside, then another half hour to come back in. Leaving him that night was tough. When the decision was made to send him to foster care for awhile, it wasn’t with me. Too many other dogs at my house, they decided, and he needed one-on-one time. But he had already stolen my heart.